With a vibrant design, this decorative throw indoor-outdoor pillow lends itself to adding a lively touch to any couch or chair. The seahorse pattern provides a distinct personality to the look and feel of this Jaipur decorative throw indoor-outdoor pillow. 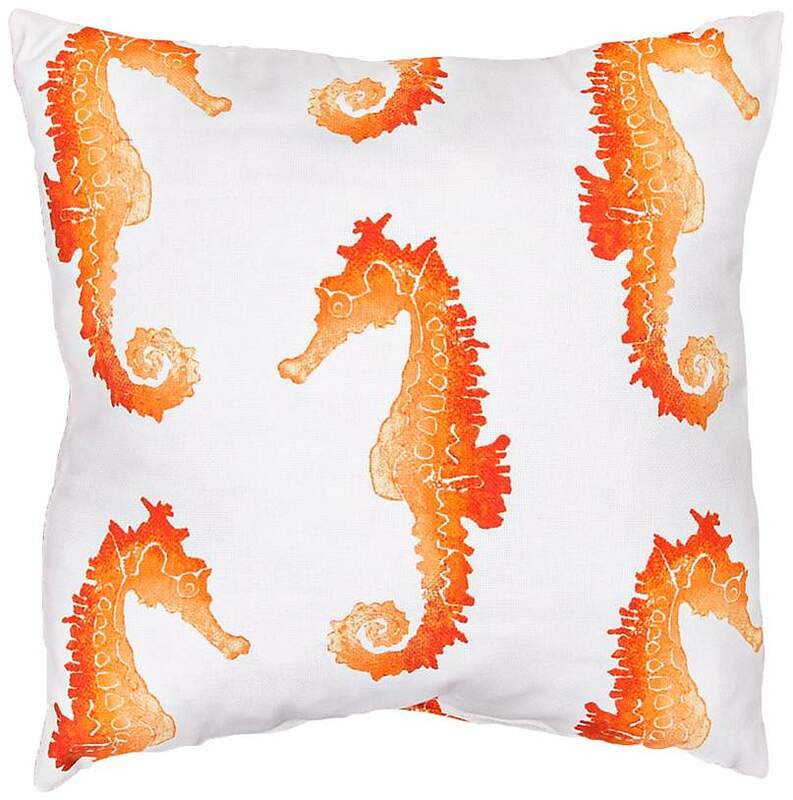 With bright white and spicy orange color tones, this indoor-outdoor pillow boasts a bold and vibrant appearance, which lends itself to accenting your existing decor. • 18" wide x 18" high. • Decorative throw indoor-outdoor pillow; designed by Jaipur. • Bright white and orange color tones. • 100 percent polyester material. • One year limited manufacturers warranty against manufacturing defect.